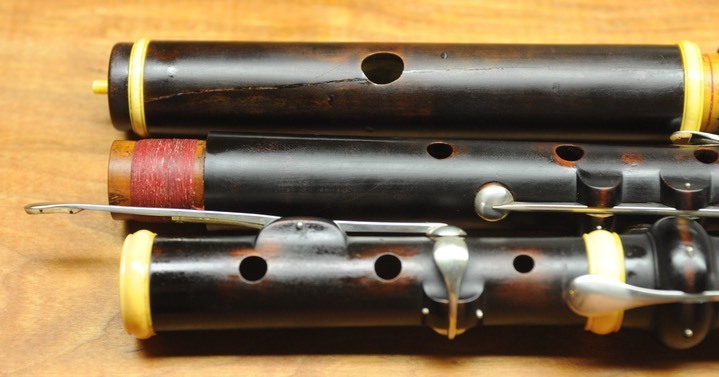 Notes: This flute is a bit of a mystery. 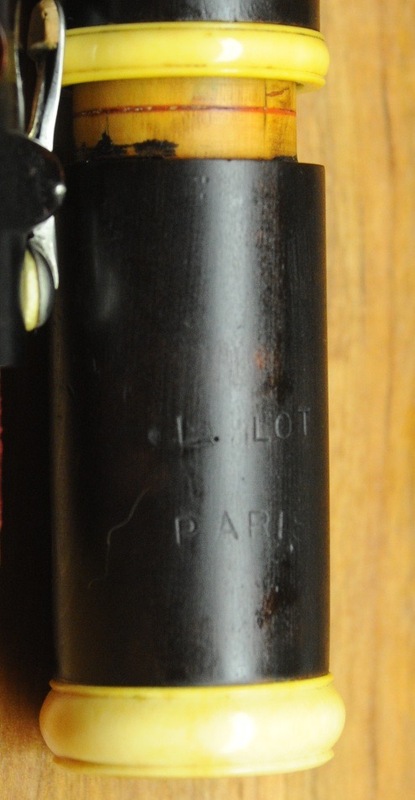 It is stamped L. Lot, Paris on the barrel. I assume that is not an original marking although this is quite a nice flute. Nice construction details, turning, rings, keys, and playability. Although at first glance it may appear to be cocus it is really darkly stained boxwood and is very beautiful. It has been restored by Matthew Slauson which includes the excellent repair of cracks in the head joint, barrel, and LH joints. It also has a replacement end cap. 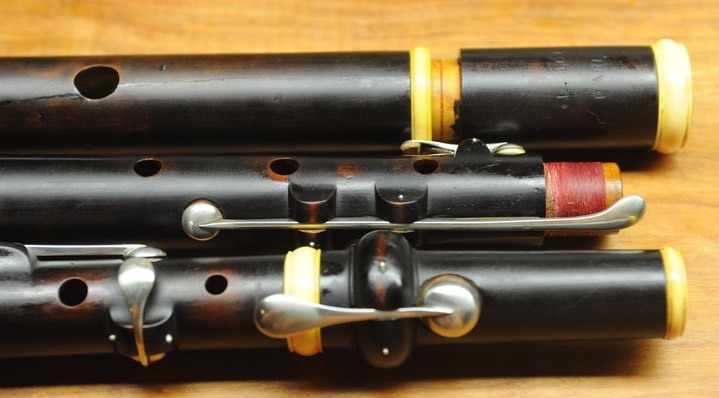 A very nice playing, versatile, flute which works well from a=430 - 445. I list this under American flutes because when I first looked at it “it said American to me."